Photo by Xander Remkes. Some rights reserved. Eurozine was invited to both report on and participate in this year’s “European Cultural Challenge”, a two-day “advocacy retreat” organised by the European Cultural Foundation, bringing together a hundred participants from 17 European countries, with the general aim to “re-think and build Europe as an open, inclusive and democratic space in which courageous citizens dare to imagine different futures.” A challenge, indeed. 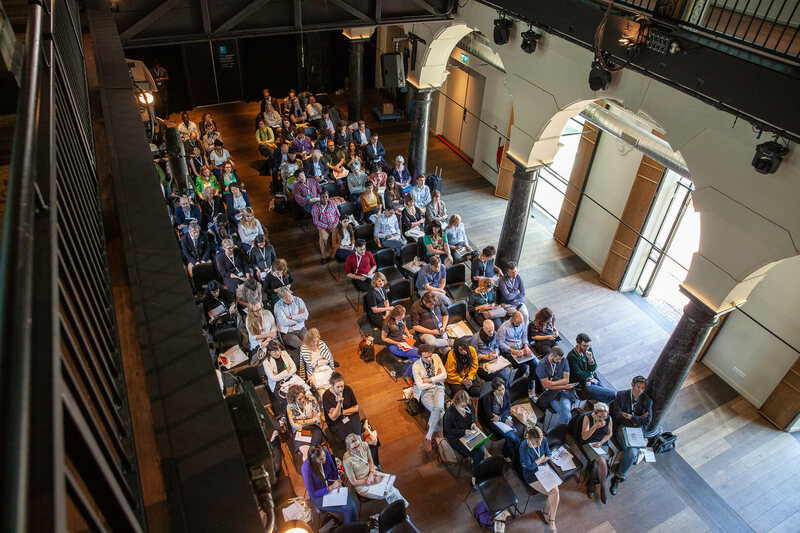 The event, which took place in May 2018 in Amsterdam, was far from introspective: In fact, it did not at all limit its focus to the cultural field. Instead, it recognized that the challenges that Europe faces involve many aspects of life, including the economy, urban development, or how societies deal with diversity, to name a few. 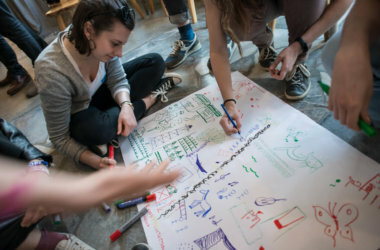 Thus, the Challenge discussed the interconnectedness of culture and society and the relevance of culture for other “sectors”. Understandably, in two days, all of this could merely be outlined. Filip Zieliński, managing director at Eurozine. European Cultural Challenge Amsterdam. Photo by Xander Remkes. Some rights reserved. I joined the working group discussing “The Challenge of ‘United Diversity’ in Europe in 2018 and beyond” which discussed the current status of diversity and pluralism in Europe. We didn’t spend a lot of time talking about this semi-official motto of the European Union – in varietate concordia, united in diversity–, but somehow, it made me think. Mainly because someone explained that there will always be a trade-off between unity and diversity, that if we prioritise diversity, this will jeopardise the unity of a society, and vice versa. But isn’t this missing the point of the motto completely? Is not the message of the motto that, in Europe, we have a diversity of languages, ethnic groups, political views, memory cultures – and that we can strive to accept these differences and live, work, decide together, also on a trans-national, European level? Isn’t it the point of the motto, that it is possible to have both: Unity AND diversity? So, basically, one can read it as a plea for pluralism. At least that’s how I read it. Also, how far do cultural organisations and political institutions serve as role-models when it comes to diversity? 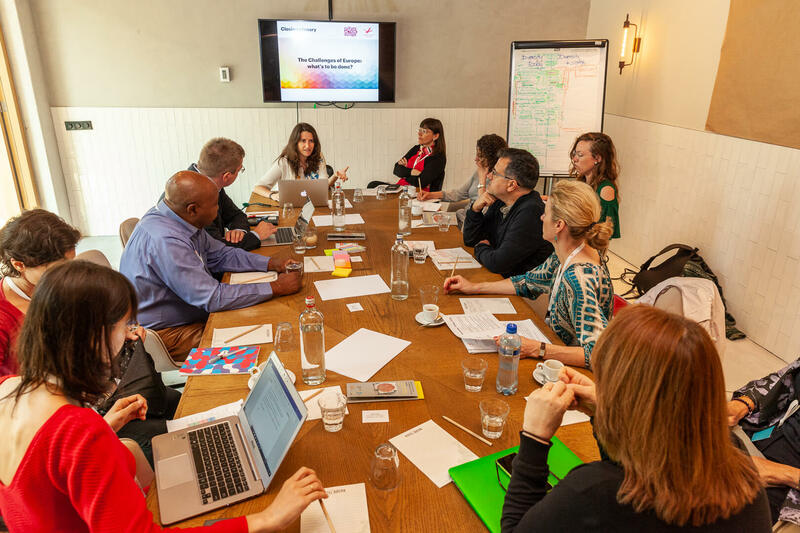 The working group itself, and the whole program of the Challenge, was highly diverse, demonstrating that the European Cultural Foundation is taking this value seriously. Many cultural organisations do agree on the importance of pluralism, but their actual practices will tell differently, reads the introduction to the Dutch Cultural Diversity Code. Frankly, this is no different in the sector of cultural journals, with its notorious gender imbalance when it comes to editors, which concerns also Eurozine: Several important measures were implemented, such as the policy to keep a balance of gender, geography, genre and generation when choosing authors, panellists or recruiting staff or board members. But there’s still room for improvement, I admit. European Cultural Challenge Amsterdam. Photo by Xander Remkes. Some rights reserved. Meanwhile, at the table, we take a step back, out of the cultural sector, procrastinate on the issue of improving our own internal diversity policies for just a bit longer, and reflect on pluralism in the context of illiberalism, distant-seeming European Institutions, populism, Brexit and refugee quotas. It’s not looking good, the table agrees. In a nutshell, the way I see it, pluralism is a value and, in practice, when a decision has to be made, it will always compete with other values. I wonder what place pluralism takes on the top-10-list of values of Europeans today? Would it even make the list? And what about culture in general? Maybe other, more basic values are being prioritised, such as material prosperity and, above all, security? Security of borders, that is, from unwanted foreigners, but also from the demands of separatist movements. This reminds me of the motto of the Austrian EU presidency: “Ein Europa, das schützt” – “A Europe that protects”. I assume that this is more about protecting borders, than about protecting pluralism. When it comes to the European cultural policy, it seems that culture currently is subject to several priorities that are not inherently “cultural”: Foreign relations with non-EU countries, economic (jobs) and social development. The dominant narrative of culture as “creative industries” makes a valid point but tends to pull culture towards economic interests. While it makes sense to argue for the value of culture by pointing to its inter-connectedness with other aspects of life, it would be a mistake to neglect, simultaneously, the value of culture as an important aspect of life in and for itself. Will the next narrative link culture to security and collective national or European identities? Let’s hope, not. Eurozine is one of the many examples of EU funding making a difference by creating “European added value”. We have been a truly European and genuinely cultural project from the beginning, 35 years ago (find out more in our new article: Carl Henrik Fredriksson, Klaus Nellen: “Widening the context. The making of a cultural journals network”.) 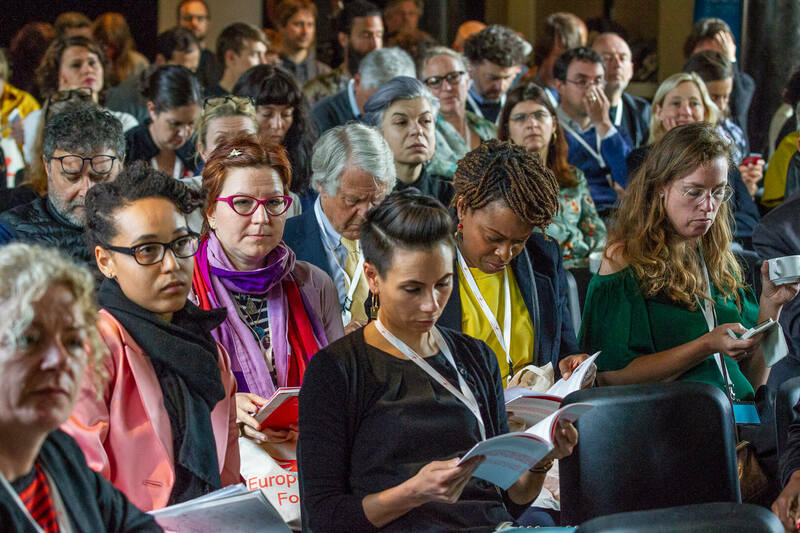 Currently, Eurozine is proud to be one of two dozen European cultural networks funded by Creative Europe. Eurozine has been publishing on pluralism, migration, borders, for years. 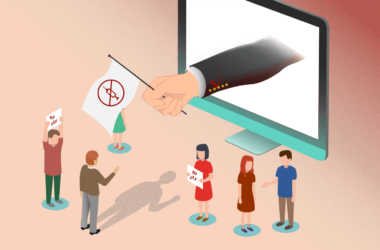 What we do offer with Eurozine is to strengthen, not to say: create, a European public sphere that enables debates across borders of geography and language, and to link up independent cultural journals from all over Europe. The European Cultural Challenge might not have found all the answers to all the challenges. 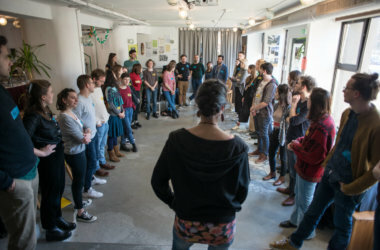 But it showed that one of the strengths of the cultural field is the ability to collaborate and form alliances based on common goals: It is prepared to work together and to ensure that the cultural sector is strong and independent enough to offer to all of us in Europe the means to understand, critically evaluate and also shape the developments and challenges of our times. I left Amsterdam being optimistic. 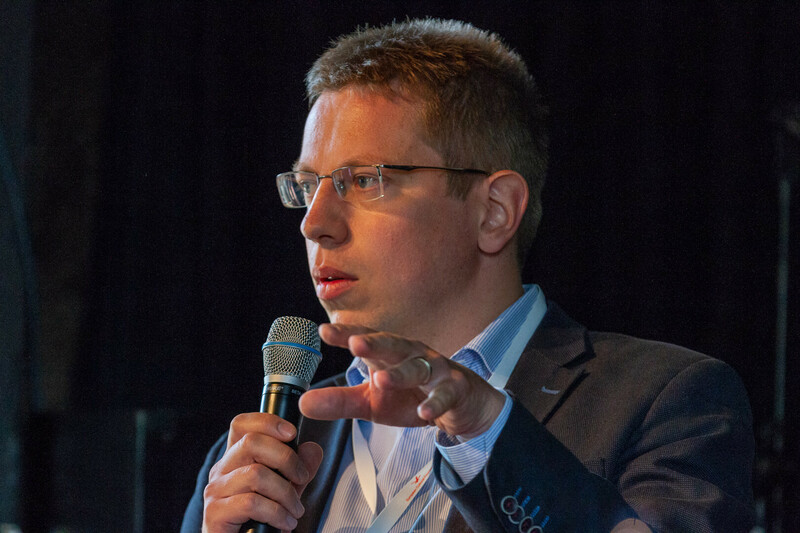 Filip Zieliński, managing director at Eurozine since January 2016. Doctorate in history from the University of Vienna; studied sociology, history and literature at Ruprecht-Karls-University Heidelberg. Prior to Eurozine, Filip worked at the Polish Institute in Austria and the University of Vienna.